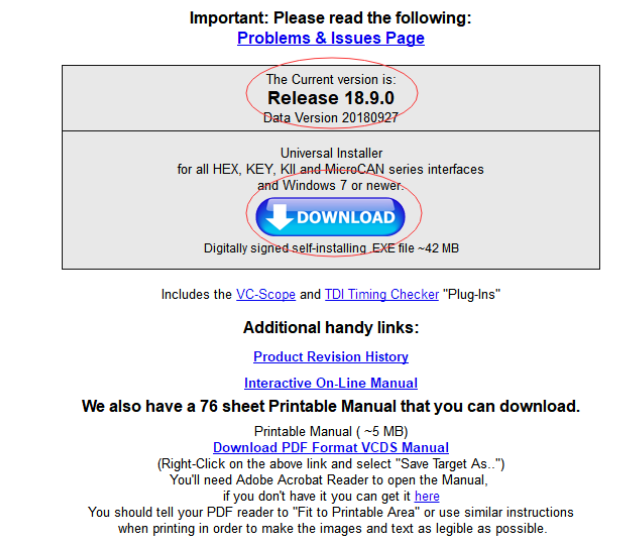 VCDS 18.9.0 updated, VAG-COM VCDS 18.9.0 version includes support for new 2019 model cars,as well as a number of other enhancements and improvements. VCDS 18.9 can update online directly for who have VCDS 18.2.1 VAG-COM Cable. 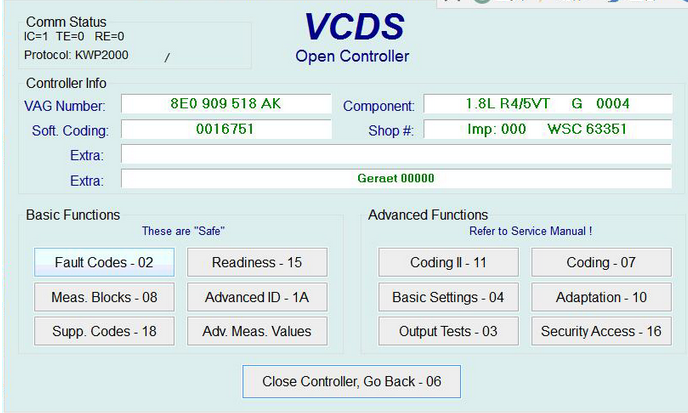 VCDS 18.9.0 release works with VAG-COM from Obd2tool.com & all genuine Ross-Tech interfaces made since 2004, but support for 2019 model cars requires a current register interface. VCDS Release 18.9 compatible hardware: must be used with a licensed Ross-Tech interface. That include all genuine HEX-, KEY-, KII-, or Micro-CAN series Interface of interfaces. Need VCDS 18.9.0 VAG-COM VCDS 18.9 Ross-Tech Register Interface Ross-Tech VCDS genuine interface just contact us freely.